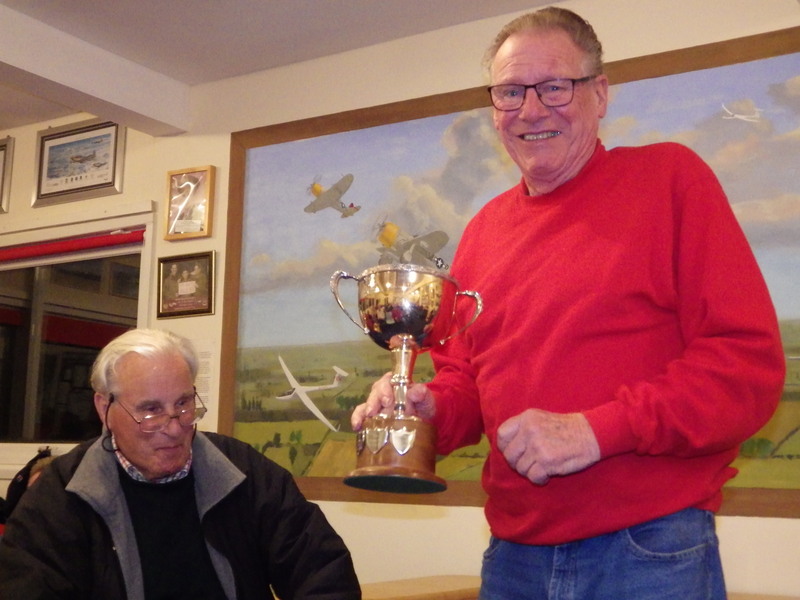 Les Jordan (not pictured) was awarded the Instructor’s Cup. 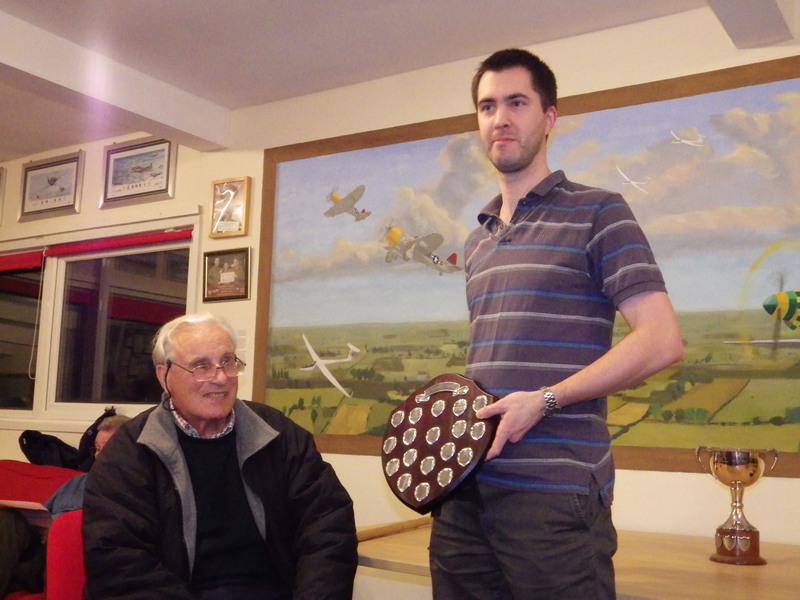 Richard Hayhoe won the Newberry Cup. Chris Price who presented the trophies. Paul Rice won the Foulger Trophy and the 100km Trophy. 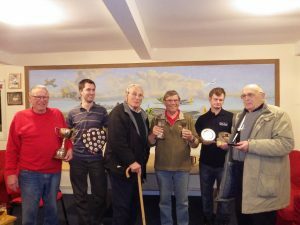 Jake Gazzard won the Wooden Ladder Trophy and the Bob Ivermee Rose Bowl. 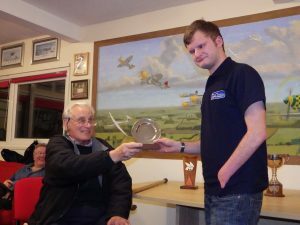 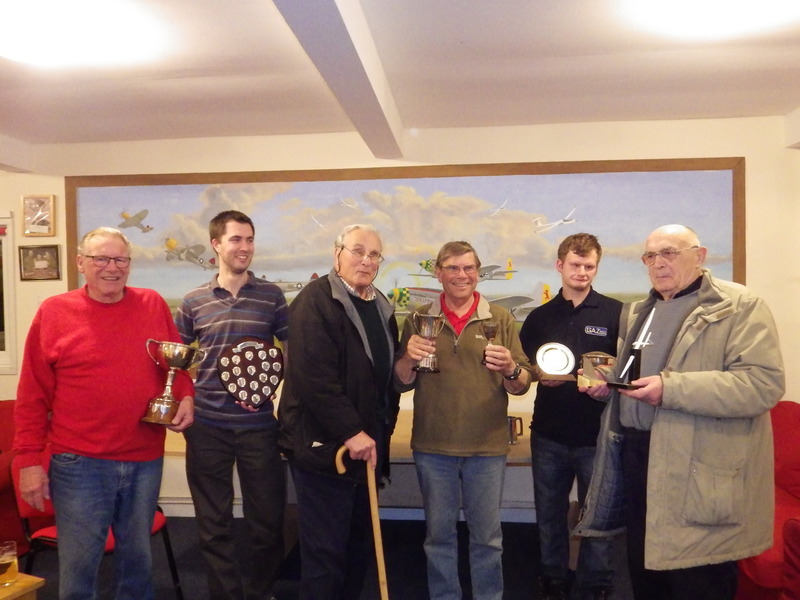 John Gilbert (not pictured and represented by his father, John Gilbert senior) won the Club Ladder Trophy and the Jeff Cork Trophy for the longest handicapped flight. 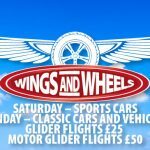 Can you still remember the days when the weather wasn’t quite flyable?